Welcome to our world of batteries. 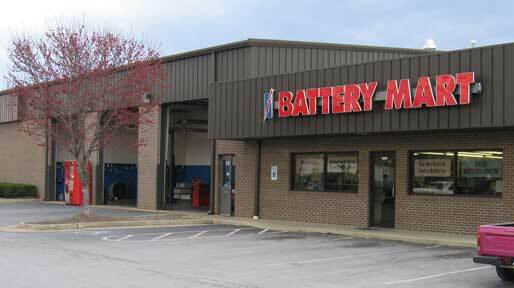 Battery Mart is a family owned business that's been working with customers for over 30 years. In those 30 years we've shipped over 1 million batteries to 8,885 cities across the US and Canada. Accredited by the Better Business Bureau and certified by Bizrate, Battery Mart is one of the largest online resellers of batteries, chargers, and related accessories. Our retail locations give us practical knowledge to help solve your battery and charger problems. Batteries are our Business - Not a sideline! Today's customer is inundated with choices which is why our in-house technicians test every brand we carry. We want to make sure manufacturer claims hold true when "rubber hits the road." The dedicated employees behind batterymart.com have over 100 years of battery experience and are here to help you. Being an authorized reseller for Odyssey, Deltran, Energizer, Ultra Life and other national brands allows BatteryMart.com to provide you with a higher level of confidence for purchases. Our BatteryMart.com branded products offer great value to our customers - Superior Quality with Great Prices. We select the best suppliers that manufacture to our high standards - then pass the savings on to our customers. Our selection of 100,000 replacement batteries & accessories can be overwhelming, so if you need any assistance just call us at 1-800-405-2121 (Monday through Friday, 8AM to 7PM Eastern Time). Our Customer Service and Technical Advisors will be happy to assist. Before buying please take a few moments to review unedited comments from our shoppers. I ordred my batteries on monday and had them on friday. Battery mart blew away pure polaris parts. Igot two batteries for $38 at battery mart and polaris wanted $97 for one. VERY HAPPY. Battery works great, easy install. Awesome shipping!!!! Trust battery-mart.com! Will use again!!! Very fast shipping. Prices lower than on Amazon.com.Customer support was very fast in responding to a few questions I had about selecting the correct product. I agree with all the other five star ratings. This place is the real deal. Great Product - Great Price - Great Service. I ordered my battery on Monday and recieved it on Wednesday. I installed it in less tha an hour. It fit perfectly and fired right up . I ordered over the phone and the assistance was great. I wholeheartedly recommend to everyone. Second battery(March 2012) for Waverunner since April of 2008 from BatteryMart. Not bad for a marine battery at my house. I would like to get 6 years since it was on a 1/2 AMP maintainer during the off season but I found other brands (from the local parts houses) only lasted 2-3 years. New battery has 325 CCA instead of the old at 275 CCA, either way I get more juice out of these batteries than Walmart and the local parts houses. No shipping, sales taxes, and disposal fees is a plus too. After fruitlessly searching my local area for a button-type battery (using incorrect information provided by its manufacturer), I decided to order online. Battery Mart was one of the first sites to appear on the screen and I noted the high ratings it had garnered. Their website was amazingly easy through which to navigate and they accept Paypal. The parcel arrived quickly and the batteries work properly. I will use this company again. I am a returning customer. The products are quality. I haven't had any problems with the purchase process or products or service. The information about the products help you with deciding what item to buy. Thank you, Battery Mart. Website well designed and helpful. Lots of information, even on rare and hard to find batteries. prices are really good, in comparison with brick and mortar stores (less than half of that at Radio Shack). My purchase of the CR 1220 camera battery went super smoothly. This battery is very unusual. Once on the BatteryMart site it was easy to find and order and delivered very fast. I have ordered products from Battery Mart on three occasions in the past couple of years. Each purchase involved an obscure battery for a piece of outdoor/camping equipment or a kid's toy or an older camcorder, none of which are easily found anymore. The method in which Battery Mart's website is set up is awesome and obviously designed for the technologically challenged consumer like me. The large amount of educational info/links found throughout are also awesome. Keep up the good work!